Obituary for Mildred "Mickey" Nagy | Iseneker Funeral Home, Inc.
GLENFIELD – Mildred “Mickey” Nagy, 94, formerly of Sand Pond Road, passed away Sunday morning at the Lewis County Residential Healthcare Facility, Lowville. Calling hours will be from 10:00 a.m. to 11:15 a.m. Saturday, April 13, 2019 at Iseneker Funeral Home, Inc., Lowville with a prayer service at 11:15 a.m. at the funeral home and a funeral Mass at 12:00 Noon at St. Mary’s Catholic Church, Glenfield with Rev. Jay Seymour, Pastor officiating. Spring burial will be in Brantingham Cemetery. Surviving are two children, Cathy and her husband, David Auckland, of Baltimore, MD, Robert L. Nagy of Glenfield, a son-in-law, James Clark of FL; grandchildren, Ian, Lindsey, Alicia, Alan, Courtney, Cameron, Erica, Jessica, and Jake; 13 great-grandchildren; a brother, Leo Goss of Syracuse, NY; a sister, Ann Catanzarita of Liverpool, NY; several nieces and nephews. She is predeceased by her husband, Lewis Nagy, a daughter, Susan Clark, and two sisters, MaryJane Heimbach and Eloise Hanavan. Mickey was born in Syracuse, NY on October 23, 1924, a daughter of the late Leo and Mildred Dunn Goss. She graduated from St. Anthony of Padua School in Syracuse. On October 4, 1947, she married Lewis Nagy at St. Joseph’s Catholic Church, Liverpool, NY. Mrs. Nagy worked as a payroll clerk for the Telephone Company during the 1940’s and also in retail at Dey Brother’s Department Store during the 1940’s. After retiring, the couple returned to Glenfield. Mr. Nagy died on October 25, 2009. 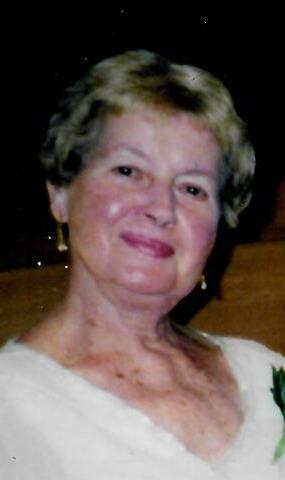 She was a communicant of St. Mary’s Catholic Church, Glenfield. Mickey was a skilled bridge player and enjoyed playing singapore rummy. Mickey was a wonderful mother and grandmother, aunt, sister and friend with a great sense of humor. She will be missed by all.